We have made it to the end of another busy year! The Kiwi summer break provides an excellent opportunity to relax, refresh and prepare for the new year ahead. If you need something to read over the break, look no further! 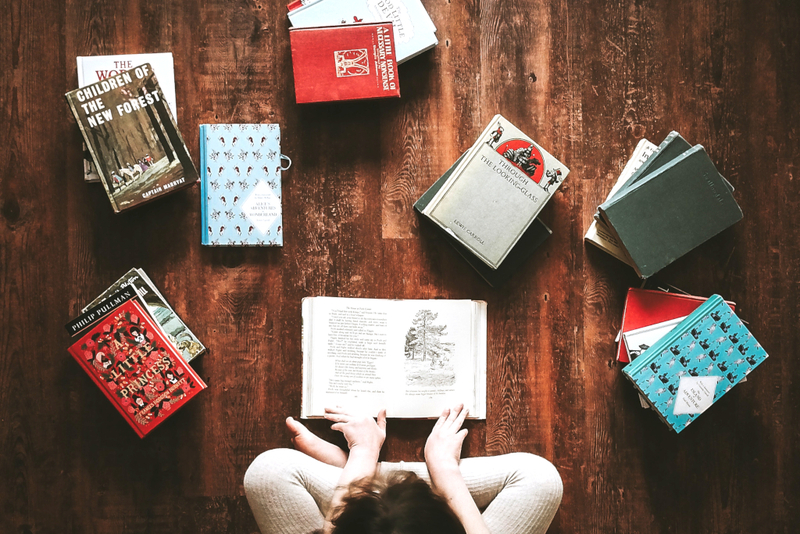 CORE’s Knowledge Curator Paula Eskett has once again collected book reviews from across the CORE whānau, showcasing a number of new titles to inspire your thinking and teaching practice. Thank you for being late, an optimistic guide to thriving in the age of accelerations. Friedman, T. (2016). London, United Kingdom: Penguin Random House. 21 Lessons for the 21st Century. Harari, Y. (2018). London, United Kingdom: Penguin Random House. The Fourth Age: Smart Robots, Conscious Computers, and the Future of Humanity. Reese, B. (2018). New York, United States of America: Simon and Schuster. 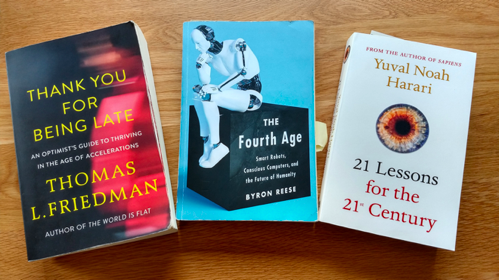 Rather than focus on a single book for this review I have chosen to provide a brief overview of three books; all focusing on the theme of the future, the impact of technology on society and what it means to be ‘human’ in the midst of this change. The three authors, a journalist, an entrepreneur and an academic bring their own unique perspectives to this challenge. Thomas Friedman is a Pulitzer Prize winning journalist who writes regular columns in the New York Times and is well known for his previous best seller “The Earth is Flat”. Friedman writes with vitality, wit, and optimism, and argues that we can overcome the multiple stresses of an age of accelerations—if we slow down, if we dare to be late and use the time to reimagine work, politics, and community. Byron Reese is the CEO and publisher of the technology research company Gigaom, and the founder of several high-tech companies. His previous book as also a best seller, titled “Infinite Progress: How Technology and the Internet Will End Ignorance, Disease, Hunger, Poverty, and War.” Reese writes from the perspective of an entrepreneur, but does more than simply explain and describe the world of AI and robotics, he focuses on how to think about these technologies, and the ways in which they will change the world forever. Yuval Noah Harari is an Israeli academic who rose to fame with the publication of his book Sapiens, originally written in Hebrew as a history of humanity, translated into English in 2014. He followed that with Homo Deus which is a gaze into the future. 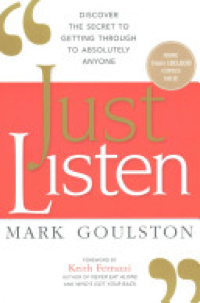 21 Lessons provides a contemporary stocktake of where we are currently, and explores the issues facing us in the present time, challenging us with the decisions we will need to make as individuals and as society as we progress into this ever changing future. My reason for providing this collective review is that when we read a single book on a topic like this it’s easy to become caught up in the particular set of arguments or thesis of that particular author, and lose sight of the bigger picture of the issue or issues at stake. The combination of these three books provides an eclectic mix of viewpoints which, while sharing a similar focus, differ in the perspectives provided, leaving the reader to synthesise for themselves the ideas to arrive at their own point of understanding. My reason for choosing these three in particular is that they are each extremely well informed, well researched and profoundly challenging volumes. There is a plethora of books emerging at present on the similar theme, but many of these are purely descriptive or opinions of the authors, rather than providing the meaty, ‘metacognitive’ perspectives that these three do. At the heart of what these authors provide are fascinating insights into Artificial Intelligence (AI), Robotics and Bio-technologies and their extraordinary implications for our species. 100,000 years ago, we harnessed fire, which led to language. 10,000 years ago, we developed agriculture, which led to cities and warfare. 5,000 years ago, we invented the wheel and writing, which lead to the nation state. Reese then explains we are now on the doorstep of a fourth change brought about by two technologies: AI and robotics. While it may appear from these summaries that each author has a different agenda, their perspectives merge around building a picture of the future that is significantly different to what has been experienced in the past, and one that will present us with an unprecedented level of challenge in terms of who we are as humans. The change ahead is simply not a case of finding ways to adapt, but of considering how that future is being shaped by our own behaviour and decisions now, and then facing the consequences of what may happen when we are no longer able to make those decisions or act on them because a ‘greater force’ is doing that for us. The challenge I’ve taken from these books is to consider the question that has challenged philosophers and academics for centuries, “how should we then live?” It is patently clear, from the three perspectives here, that our current ways of thinking about how we organise our personal lives, our business models and our political systems must all be up for review if we are to adequately prepare for, and shape, this uncertain future. Throughout each of these books there are challenges that will resonate in the minds and hearts of educators. The future we imagine and are preparing our young people for demands action now. Our current ways of thinking and organising learning are being severely challenged and will require us to ‘let go’ of some of the things we feel precious about, and to act with greater determination to understand our role as ‘future makers’, rather than those who perpetuate the status quo. 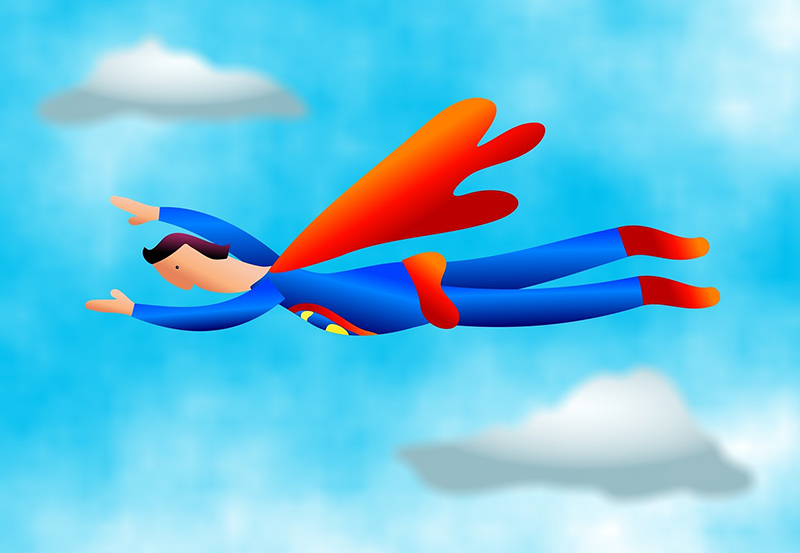 Essential to this is finding ways of working together, in collaborations, in networks, in communities – and not as isolated individuals with a ‘hero-mindset’. The Subtle Art of Not Giving a F*ck: A Counterintuitive Approach to Living a Good Life. Manson, M. (2018). New York, United States of America: HarperCollins. This review has been written from my own personal point of view and is my opinion on some of the key points made in the book. 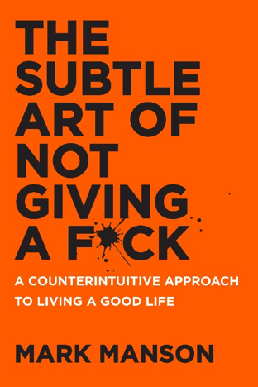 What attracted me to the book was the slightly naughty title ‘The Subtle Art of Not Giving a F*ck’. In this day and age I feel we are programmed to care about everything and anything. 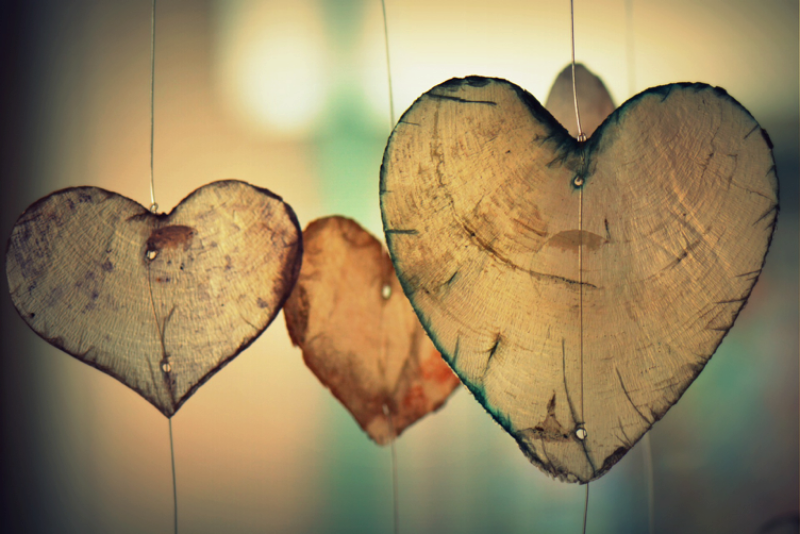 It affects everything we do from our mahi to our personal lives; when really we need to figure out what we truly care about and what matters to us. It’s not just handed to us, we learn through our own experiences in life. I thought that reading this book would be a step in the right direction to help me lighten up and care less about the pointless dramas life throws at us. The world we live in today has lots of not so great factors e.g. unhappiness, unsolved problems, depression, anxiety etc. ; but it also has the good factors including happiness, problem solvers, and people willing to help. We are usually quick to forget about all the good factors as we are constantly dealing with our next issue or problem. Many people just like to complain and they can’t complain about the good factors which is why we hear more about the not so great factors. A number of not such great factors affect my life daily and I was curious. I wanted an insight into someone else’s way of thinking about life and its problems and that person ended up being author Mark Manson. I found the book to be funny and relatable in the stories Mark Manson used as examples to explain his theory as to why the human population think and act in the way they do. I didn’t take into account every thing he said (sorry Mark! ), but that’s the good thing about this book; you can take what you want from it and use the techniques which align with you. They make you think! Sometimes I found myself having to stop halfway through a chapter just to think about whether or not I agreed with what the author was saying. It was like a mini counselling session for myself. I honestly enjoyed reading this book. I would highly recommend it to anyone who is looking into changing their mindset or re-considering their own personal values. Life can be full of surprises and this book provides some interesting insights into how we can handle them. Why We Sleep : The New Science of Sleep and Dreams. Walker, M. (2018). London, United Kingdom: Penguin. The wonder drug can be hard to get your hands on. But it seems it’s worth the effort. Everyone needs to know how our modern world has conspired against sleep. 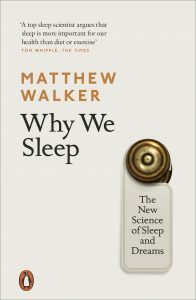 Matthew Walker clearly describes the damage we do by ignoring the importance and complexity of the role sleep plays in our lives. For example, we can all be divided into two genetically determined groups: morning larks and night owls, each influenced by different circadian rhythms. There is nothing owls can do to become larks which is tough because work and school norms overwhelmingly favour early rising larks. Owls are forced to ‘burn the proverbial candle at both ends. Greater ill health caused by a lack of sleep therefore befalls owls, including higher rates of depression, anxiety, diabetes, cancer, heart attack and stroke.’ There is evidence for viewing lack of sleep as a factor in the onset of depression and schizophrenia. Early school starting times are disastrous for the mental health of teenagers. If you regularly clock in under seven hours a night, you’re doing yourself a disservice as grave as that of regularly smoking or drinking to excess. 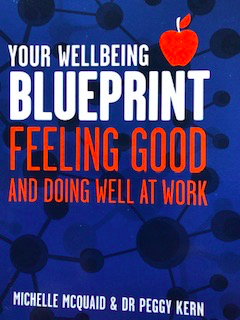 Your Wellbeing Blueprint: Feeling good and doing well at work. McQuaid, M ., & Kern, P. (2017). Australia: Michelle McQuaid. Who doesn’t want to feel good and function well? For many of us work will make up a good chunk of our lives so why wouldn’t we want to thrive. By regularly engaging in wellbeing habits and activities we can build on our wellbeing. In this book, the authors distill research from the past three decades and serve them up as practical activities which we can try on for size in our everyday lives. The wellbeing blueprint provides a “how to” guide from initially supporting us to measure our own wellbeing right through to supporting us to create our own wellbeing plan. Personally, I think it’s a gem of a book and something which I come back to regularly to provide me with doses of inspiration. For those of us with an academic thirst the book comes filled with a bumper store of references for further exploration. Contextual Wellbeing : Creating Positive Schools from the Inside Out. Stre et, H. (2018). Australia, Wise Solutions. So when we are creating positive schools what are some of the things we consider? Does context ever come into it? Children not only need to learn, but they need to live well too but sometimes the decisions we make as schools can get in the way. In this book Helen Street asks us to be curious about what the social side of wellbeing looks like – considering community approaches instead of competition, looking at motivation as opposed to compliance and control as just a few teasers and then serves up a contextual model for wellbeing together with next steps on how to begin. 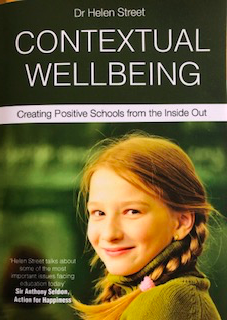 This book is for anyone who is interested in the conversation of creating positive schools from the inside out where health, happiness and positive engagement are all considered as an integrated whole. Remixing the Key Competencies: A curriculum design deck. Wellington, New Zealand: NZCER Press. I have been working in a secondary school recently helping them to review their Year 12 NCEA L2 course, focussing on the key competencies to enhance student learning instead of focussing on the traditional ‘credit farming’ they had been doing previously. Lay out all cards white side up. Teachers select 2-3 cards that relate best to something they were doing with a class in the last day or 2. Talk about what they were doing, hoping to achieve etc in that lesson. Turn cards over. Taadah – which KC were you embedding? Lay out all cards white side up. Select activities that best match up to a unit of work. Turn over and look at the frequency of KCs being covered. Where are the gaps? Which ones currently dominate? What do you want to do about this? Fan out all cards. Pick one from the deck (a bit like a magic trick!) Turn it over and talk about what it would look like in your classroom if you designed an activity like this. Lots and lots of ideas. Also blank cards so you can write your own. The school liked them so much they are going to buy their own set. They think they will get lots of use out of them when they start to review other year levels to be more inclusive of the KCs. All staff were fully engaged in this ‘gamification’ of curriculum design. We have a set in our CORE Education library, but I liked them so much I bought my own. 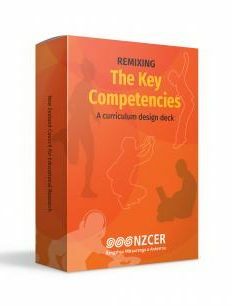 NZCER also do a deck on remixing NCEA across learning areas (NCEA L2) and the Science capabilities. Merry Christmas and Happy New Year from the CORE Education whānau! We trust you have a safe and happy holiday break, the CORE Blog will return in 2019. If you are what you eat, what does your reading selection say about you? In a world where the feeling of information overload resonates with nearly all working in education, some of CORE Education’s most ferocious readers have reviewed their best professional read of 2016 in the hope we can help with any feeling of ‘infowhelm’ you may have. Our curated What are we reading — the best of 2016 professional reading list is a snapshot of recent and current literature which has been added to our CORE Library collection. This collection — a mix of print, e-readings, and research — supports our CORE whānau to keep current and innovative, as we work across Aotearoa’s schools, kura, and centres. Your local public library can get you a copy of any of the books reviewed here, if your school library’s Professional Development Collection doesn’t. 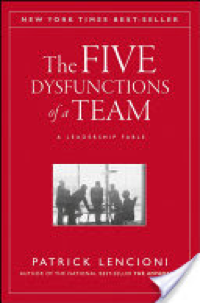 The Five Dysfunctions of a Team: A Leadership Fable — Patrick Lencioni, Jossey Bass. Wiley, 2002. Every organisation within and outside of education faces, at some point, the need to address issues around trust, conflict, commitment, accountability, or results. In fact, these are areas we continually work on, in, and across our teams. Lencioni’s work promotes these five areas as the necessary components of a successful, functioning team. If any are absent, a team will not be successful in achieving its common goal or desired results. The Five Dysfunctions of a Team is an easy-to-read fable created by Lencioni to illustrate his theory in real terms for leaders, or for anyone working in, or with, collaborative groups or teams. The fable follows the efforts of a newly-appointed leader who has been introduced to an organisation with several dysfunctional practices. She uses Lencioni’s theory to observe the staff and then to slowly address their areas of need in terms of working successfully as a team. There are challenges along the way — as there always are when working with other people — and the fable shows practical ways to introduce the model and then address the five dysfunctions. 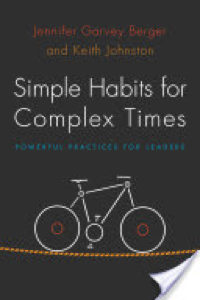 At the end of the fable, Lencioni provides a series of chapters outlining the five dysfunctions in detail, along with some strategies for leaders. Before I had even started Chapter 3, I had pulled several valuable quotes from Michael Fullan and Joanna Quinn’s book, Coherence (2016), for proposals and papers! It is deceptively easy to read, with a framework, detailed examples, infographics, and guidelines. The book, I feel, would support facilitators, kaiako/educators, and leaders/kaiarataki to work with demanding political requirements, while also building the conditions for genuine change, shared aspirations … and learning — with the learner very firmly at the centre — “…through purposeful action and interaction, working on capacity, clarity, precision of practice, transparency, monitoring of progress, and continuous correction“. Encourage the growth of human capacity in every way possible. 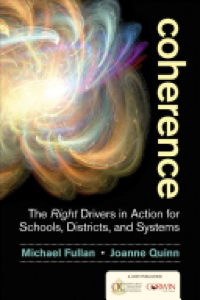 Fullan and Quinn define coherence as the “[s]hared depth of understanding about the purpose and nature of the work“, as opposed to structure, alignment, and strategy. Their framework for coherence making is based on 1) focusing direction, 2) cultivating collaborative cultures, 3) deepening learning, and 4) securing accountability. To achieve coherence, all four need to be “addressed simultaneously and continuously”. There is plenty of room built in for the human factor within the change process, including the recognition that many in the education profession are working “under conditions of overload, fragmentation and policy churn“. There are also, for me, some insightful ‘myth busters’, including a sometimes misplaced notion that to “gel under the reality of action” collaboration is the key. However, although important, “collaboration as an end in itself is a waste of time”. To make sure that collaboration is effective it also requires the “discipline and specificity of collective deliberation”. The people who are involved in the collaboration need to have a clear idea of why they are collaborating, to the point where everyone in the kura / school / centre or region can “talk the walk” (i.e., articulate the key ideas and actions behind any initiative for change). By the time I had finished reading the book, it was bristling with the little stickies I use to mark nuggets of ‘idea gold’. 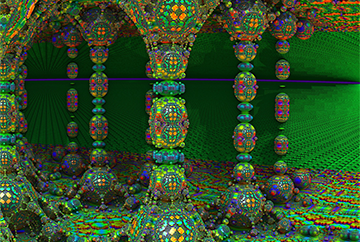 The picture presented by Coherence grew as I read it and the pieces all started to gain detail and colour. I would highly recommend this as a quick read — and then something to return to for a follow up read! 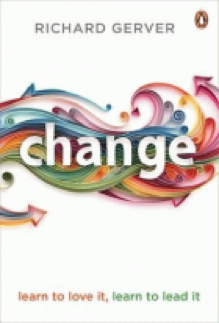 Change: Learn to Love It, Learn to Lead It by Gerver, Richard (2013) Paperback — Richard Gerver. Portfolio, 2013. Change: learn to love it, learn to lead it by Richard Gerver is a great easy read. It reads as if Gerver is speaking directly to the reader, inspiring, empowering, and encouraging. Following a carefully woven path; from exploring change, to questioning change; to developing and leading change, this book is a refreshing read in changing times. Sharing and reflecting on his journey, Gerver invites us to welcome change. This book speaks to me as a facilitator, an educator, and personally; encouraging and embracing change with a hunger for continuous improvement. Whatever you are grappling with now, I thoroughly recommend that you read Richard’s Change, to help you reflect on where you’ve come from and maybe set some new pathways and goals. I came across this book when I was in the States and it seemed very apt for where CORE is as we transition from a company focused on Ministry of Education contracts, to one operating in an increasingly competitive environment. The main premise of Godin’s argument focuses on the need to be remarkable or become invisible in a hectic marketplace. 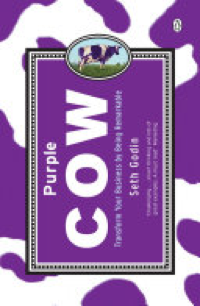 Godin has taken the 7 P’s of marketing principles (price, product, promotion etc) and added the ‘Purple Cow’ as a way of standing out in a crowd. For Godin, though, it is deeper than how you promote yourself — it isn’t about painting any old cow purple, it is about developing something so fundamentally different it will become a purple cow. It’s about pushing the boundaries right from the conception of an idea. The book is quite small, and at first glance seems like an easy read, but it is packed with great insights and examples of modern marketing which certainly get you thinking. In fact, I think it is worth a second read after a few months to ensure you have digested all those ideas and mulled on how you could adapt them. “It’s much riskier to be safe and blend in with the masses, and it’s safer to be risky and set yourself apart from the rest” – whilst it is scary to be brave and take risks, it should be safer for the business in the long-run to take some well thought-out risks. And then there are the sneezers — someone who spreads an “ideavirus.” They’re more than willing to tell the world about an awesome product or service, and every market needs them. — our role is to find and woo sneezers. It is an enjoyable book, and one I would encourage anyone to read if they are interested in how we need to position ourselves in this challenging new market. This book has a simple and practical message — ask different questions; seek multiple perspectives; and understand the system. The writers suggest that developing these habits helps leaders move from ‘managing the probable’ to ‘leading the possible.’ I’d suggest these habits of mind are useful for everyone. I had to buy my own copy of the book as I had so many yellow stickies in the first few pages of the CORE copy. Now I’ve got a well dog-eared version. The writers know their stuff — all theory is referenced; and they know New Zealanders — they have worked closely with government and industry leaders. They are kind to each other and kind to the leaders represented in the book. I’m recommending this one to everyone at the moment. 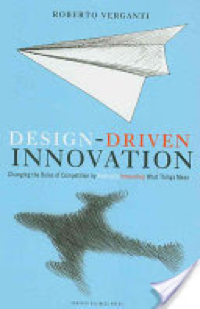 Design Driven Innovation: Changing the Rules of Competition by Radically Innovating What Things Mean — Roberto Verganti. Harvard Business Press, 2009. Innovation in industry has focused broadly on two strategies. One is the radical improvement in product performance pushed by breakthrough technologies. The other is improved product performance based on users’ needs. Both strategies focus on improving a product or service. With its user-centred approach, however, the latter strategy sits within the realm of ‘design-thinking’. In his book, Design-Driven Innovation, Roberto Verganti suggests a third strategy: the radical innovation on the meaning of a product. This approach, he suggests, creates ‘disruption’ in the market. Think of Apple with its design and release of the first smartphone (the iPhone). Apple innovated on the meaning of an existing product. In doing so, it pushed the possibilities of technology and created a new market. People embraced this change quickly. They then viewed, used, and engaged with their mobile phones in a completely different, new, and ‘smarter’ way. It was unexpected and it ‘disrupted’ the mobile phone market. An entire industry then followed Apple’s lead. In terms of education, design thinking, can be a useful strategy to change and shape the systems that have a direct impact on policy-making and educational practice. With its user-centred focus (student, leader, teacher, parent…), it enables innovative, but often incremental change. However, Verganti argues that it is limited by the parameters that are defined by a user’s current beliefs, values, knowledge, and experiences. Incremental change in education has real value, but, with its reliance on a user-focus, do we only design different ways of implementing change based on old systems and processes, improving upon our own and others’ outdated ideas and beliefs? Is this type of change too slow? Is it truly effective? Is it enough? Even though Design-Driven Innovation is not an educational book, it really made me think about the ideas presented in the context of education. The world around us is changing rapidly. For our children’s sake, do we keep relying on an incremental approach to changing education? Can we afford to rely on a user-focus? Or do we design something that is totally out of people’s realm of thinking? Like Apple did with its innovative new products introduced in 2007, disrupting the mobile phone market. Should educators and policymakers break away totally from past and present ideologies to disrupt the status quo? Are we too busy innovating on the form and function of products and services within education, and have we neglected to look deeper and innovate on the meaning of education? Furthermore, if we were to do this, what would it look like? Is the education system ready for disruptive innovation? Do we have a choice? Every day we talk to different people about different things, but actually, how effective are we at understanding other people’s needs, and helping them to understand ours? This book was definitely my ‘best read of the year’. Once I finished it I started again at the beginning. I wanted to be able to remember each page word for word. I wanted to be able to remember each strategy and each occasion to use each strategy. This is a very easy and engaging read. You will find yourself thinking of different people as the author helps you to look at yourself, and how your communication style may not actually be helping you get through to the different people you need to communicate with. Whether you are engaging with adults or children, in business, in schools, or in your personal life, this book will have something for everyone. 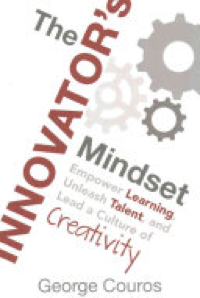 The Innovator’s Mindset: Empower Learning, Unleash Talent, and Lead a Culture of Creativity — George Couros. Dave Burgess Consulting, 2015. As an aside, I took the opportunity to participate in the inaugural #Innovators Mindset MOOC #IMMOOC earlier this year. I highly recommend this as Couros is planning to run round two from February 2017. You may wish to read more here. 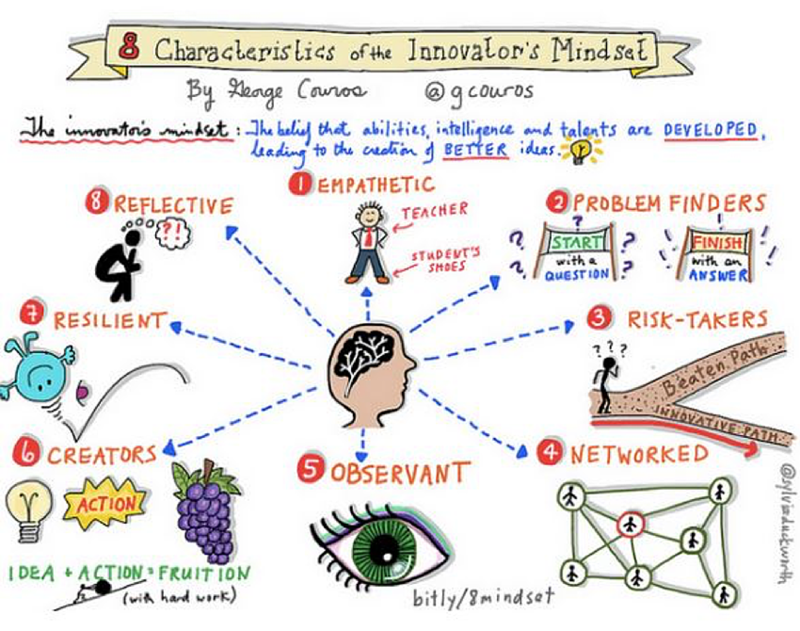 Also, subscribe to George Couros’s blog here. In summary, the by-line of the text summarises why you might want to add The Innovator’s Mindset to your professional reading. Educators and leaders — what are you waiting for? 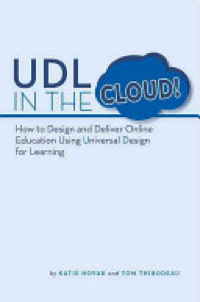 UDL in the Cloud! : How to Design and Deliver Online Education Using Universal Design for Learning — Katie Novak & Tom Thibodeau. Cast Professional Publishing, 2016. UDL in the Cloud! : How to Design and Deliver Online Education Using Universal Design for Learning As a facilitator of blended learning, I found this book a MUST Read! I particularly liked the daughter/father team approach, and the practical nature of the book, with useful tips throughout. For example, to build engagement online, offer multiple ways of getting to know your learners. What about a 6-minute video, or an online survey where learners can share goals; how they might manage their time, and ways to measure the impact of their learning. What do you want your learners to remember in two years’ time? I highly recommend this book for those embarking on online/blended facilitation, developing online courses, and anyone who wishes to ensure that their learning environment is inclusive, for all. 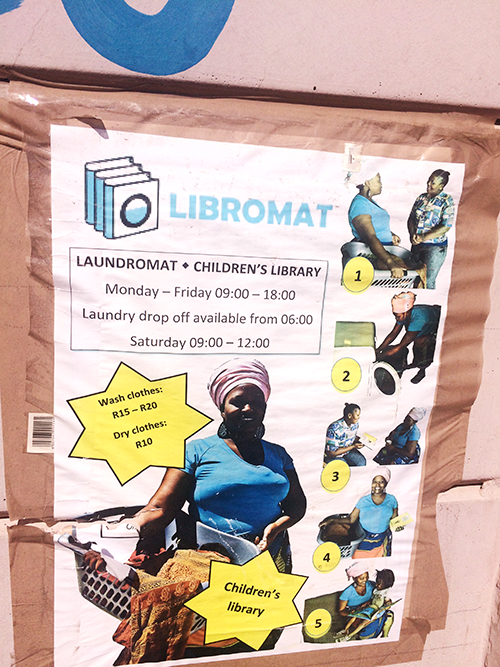 Laundry, Libraries and Literacy. Which is the odd one out? The answer may depend on where in the world you are reading this. 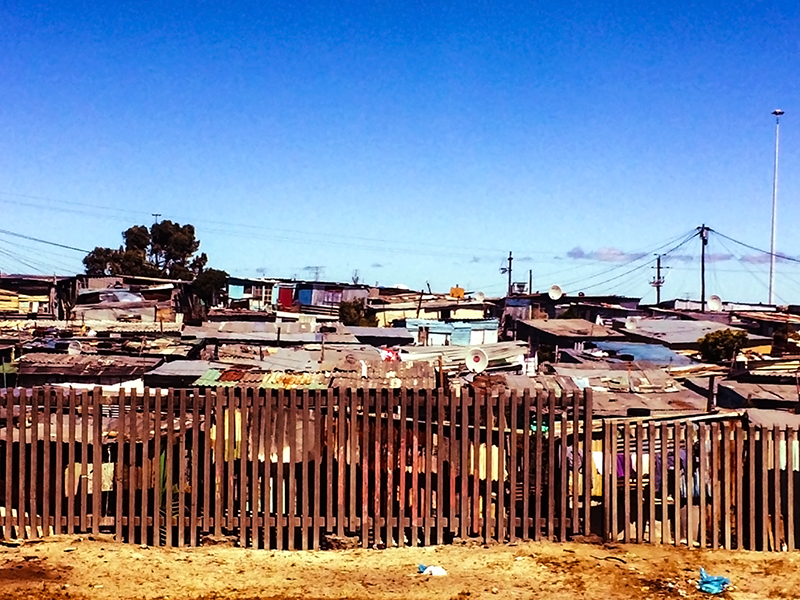 Khayelitsha is an informal township 30km from Cape Town on the Western Cape Flat. In the 1950s, South Africa’s race-based legislation such as the Group Areas Act and pass laws forced non-white people out of Cape Town’s urban areas and designated them for white people only. Known as “apartheid‘s dumping ground”, Khayelitsha and the surrounding informal settlements on the Cape Flats were made home to non-white people, and continue to be a legacy of the Apartheid government. Today, 21 years after democracy, Khayelitsha is Cape Town’s biggest township and home to between 300,000 and three million people depending on whom you ask. It’s not part of the usual Cape Town tourist circuit of beautiful beaches, wineries, eateries, and landmarks. It could be said, it’s deliberately out of sight to be out of mind. If you’re a woman in Khayelitsha, it’s likely you will spend close to nine hours a week hand washing your family’s clothes. Your shack may not have water, which means (statistically) you’ll be walking 200 metres to collect the water for your washing, or you may be lucky enough to share an outside cold water tap with a neighbour. For the women and mothers of the Cape Flats, the onerous task of laundry takes its toll on the amount of quality time able to be spent connecting and teaching their children. In 2015, the Hult Prize offered $1 million award for young social entrepreneurs tackling some of the world’s biggest problems. The 2015 challenge: to provide self-sustainable education to impoverished urban areas. Five social entrepreneurs from Oxford University with extensive backgrounds in childhood education and inspired by a Cape Town research project focusing onThe impact of dialogic book-sharing training on infant language and attention (interactive book sharing), pooled their talents to apply for the fund. Their idea for a Libromat was born. 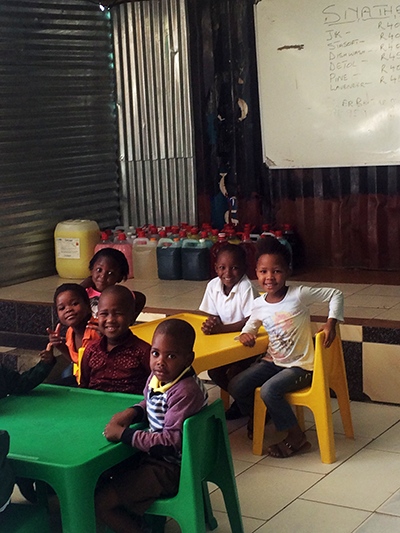 Iminathi Educare was the pilot site for the first Libromat in 2015.An inspiring preschool run by the Thokozani Brothers, a grassroots youth development organisation that use the performing arts as an entry point to engage youth in education and positive youth development based in Khayelitsha. Mhlangabezi Masizana and his wife Lindelwa started the Thokozani Centre in response to the specific problems confronting their community. Mhlangebezi Masizana — Director, Thokozani Brothers. 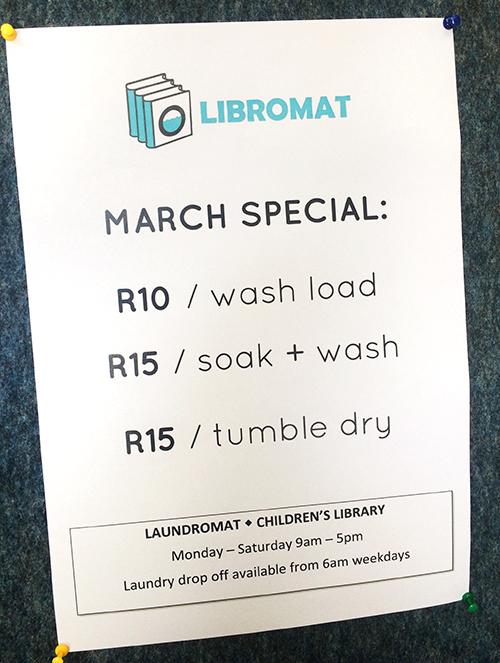 The Libromat is a combination of training hub, library and Laundromat, encouraging and teaching parents how to share and enjoy picture books with their children, while using low-cost washing machines to complete the family washing. For many participants, this is a daunting, and often intimidating, prospect as they, themselves, may be unable to read. Although they were not the overall winner, a $200,000 donation enabled them to bring their inspired idea to life to contribute to improving the literacy outcomes of young people in the Cape Flats. There is now second Libromat co-located with a public library in Nyanga, also on the Cape Flats and a new Iminathi Educare / Thokozani Youth Centre as a key project for Uthando in 2016. I had the incredible opportunity to discover the Libromat and Imanthi Educare because I took part in a Philanthropic Cultural Tour with Uthando. James Fernie and Xolani Maseko run Uthando South Africa, together they work with committed locals. Through their not-for-profit work, which includes an enormous number of grassroot projects, they are truly changing lives. It is difficult to write about this inspiring organisation without emotions beginning to flow. My half day tour to Khayelitsha was a truly life changing experience. While writing this blog post, New Zealand’s housing crisis, Auckland in particular, has been very much in our news. In June, John Campbell’s CheckPoint’s programme featured an interview with eleven-year-old-T.A. Her story, and that of her family reached into hearts and minds of New Zealanders across the country. The family of eight had been living in their van since February. When asked what she wanted most in the world, T.A replied “A library” She said the hardest thing in her life was “not being able to read”. With eight people living in their van “ they’re all up in my face. There’s no light either, I can’t waste the (van) battery, so I can’t read”. It’s hard to comprehend that in 2016, children in New Zealand and Khayelitisha have more in common than we would like. There is abundant research citing evidence that proves beyond any doubt that literacy and being literate changes lives. LIANZA’s recent GoodE literacy event hosted Miranda McKearney in New Zealand. British social justice entrepreneur, reading advocate, founder of The Reading Agency who recently set up The Empathy Lab, Miranda’s message (underpinned by research) is — literacy and being literate changes lives. Miranda’s powerful Radio New Zealand interview also talks about reading and empathy. OECD research shows reading for pleasure is the single most important indicator of a child’s future success. Proficiency in reading is crucial for individuals to make sense of the world they live in and to continue learning throughout their lives. If you can’t read in the 21st century, you’re seriously disadvantaged. Adolescents entering the adult world in the 21st C will need to read and write more than at any other time in human history. They will need advanced levels of literacy to perform their jobs, run their households, act as citizens, and conduct their personal lives. They will need literacy to cope with the flood of information they will find everywhere they turn. They will need literacy to feed their imaginations, so they can create the world of the future. In a complex, and sometimes dangerous world, the ability to read can be crucial. International Reading Association, (Moore et al, 1999, p3 as cited by Clark & Rumbold, 2006). We have the evidence that proves reading and being literate changes lives. But, for many, poverty, access to libraries, books, and resources continues to be an unfair barrier. Decision makers, holders of the public pursue, designers, and those privileged and trusted with making the decisions that will determine the existence — or not, to Library services of the future, you have a great responsibility. The shoes you may walk in, and lives you lead may not be those of the children and communities you are making decisions for and about. At the end of the day, you hold the ultimate power to make the decisions that will continue to impact on those children, families, and communities. A rebuilt school designed without a school library, or a public library closed down, removes from that school and community all the potential a cultural, social, and academic hub offers. These decisions, often presented as the result of a tight fiscal policy, say as much about decision-makers’ lack of insight, understanding, awareness, and potential that 21st century libraries offer the people they are employed to service. Those leaders owe communities the promise that they will acknowledge, try to understand, and walk in their shoes as you make decisions about services and spaces that you yourself may never use, but for people like T.A in Auckland and Ntomboxolo in Khayelitsha, they change lives. If you’ve been a follower of the CORE blog over the last few years, you’ll notice how many of our CORE whānau are inspired by local and international thinkers and their practice, with these inspirations and ideas infused into their professional practice and conversations. Who and what is inspiring our practice and thinking? To give you a taste of what’s to come, we asked some of our prolific CORE readers to share some of their notable reads of 2015. We hope some of these titles are new to you, and offer ideas and inspiration to infuse into your thinking and the practices at your centres, kura and schools in 2016. Libraries are dead, long live libraries? Try typing Libraries are into Google. If you’re expecting your results to be positive, something like Libraries are thriving you’re in for disappointment. My first Google search told me that Libraries are dying and then that Libraries are obsolete. I’ve also been hearing that libraries can be replaced by the internet, and school libraries are unnecessary as all students are now carrying one in their pocket … a mobile phone. Ok, so libraries are dead. Just hold on a minute! Let's look a little closer at this. What do we mean when we talk about the library? Are we referring to buildings stacked full of books? Spaces bathed in hallowed silence where food, drink, and social interactions are banned? Places where librarians sit behind desks and services are accessible only by being physically present, within business hours? By thinking this, are we conforming to and perpetuating an out-dated stereotype? 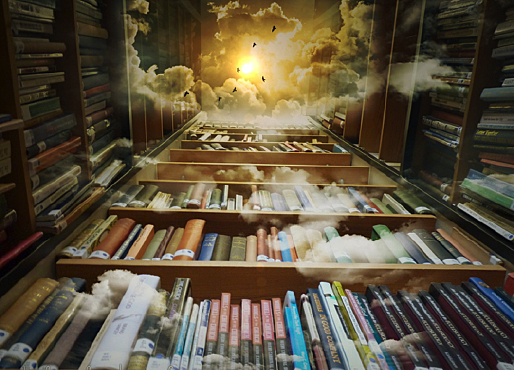 Imagine instead, if we questioned and challenged that perception and wondered out loud what libraries really are, and as communities we visioned and brought to life what they could be?